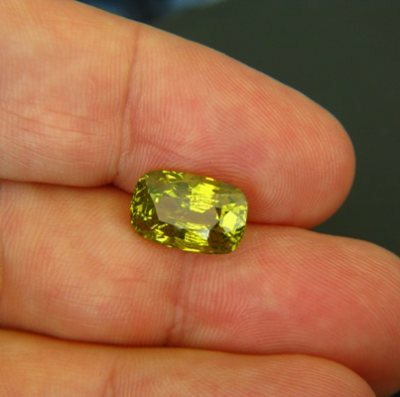 Comment: Rare size chrysoberyl in terrific intense color. Interesting insect-wing inclusion which is however not visible from the front. 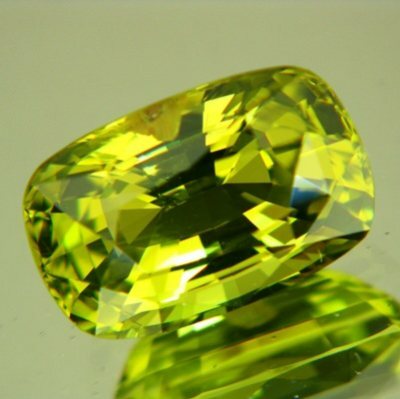 This color is only found in Ceylon chrysoberyls. Durable, pretty, untreated and set to increase in value. Big enough for pendant.